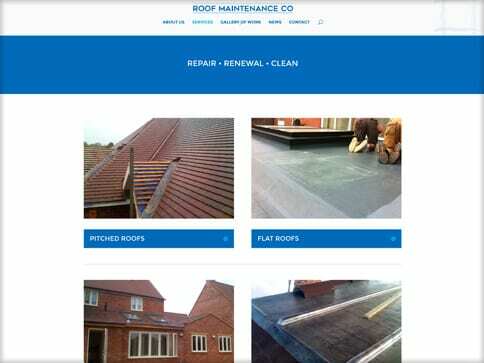 Roof Maintenance Co are long standing print customer of ours who had two websites in existence, yet neither were inline with their branding and were quite clunky to navigate and gain information. Unfortunately both sites were unresponsive. We suggested a simple re-build that would give them one clean, fresh and mobile-ready site. We created a WordPress site using their company colours and style, whilst trimming down the content to give users a straightforward experience. 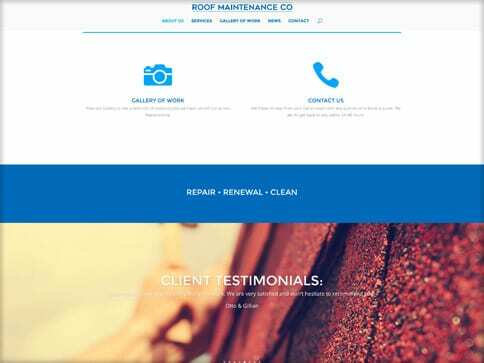 Another important element was to include Client Testimonials to accredit the reputation Roof Maintenance Co had built up over the years. We also created a Gallery of work and Blog page for the client to update and maintain as required.